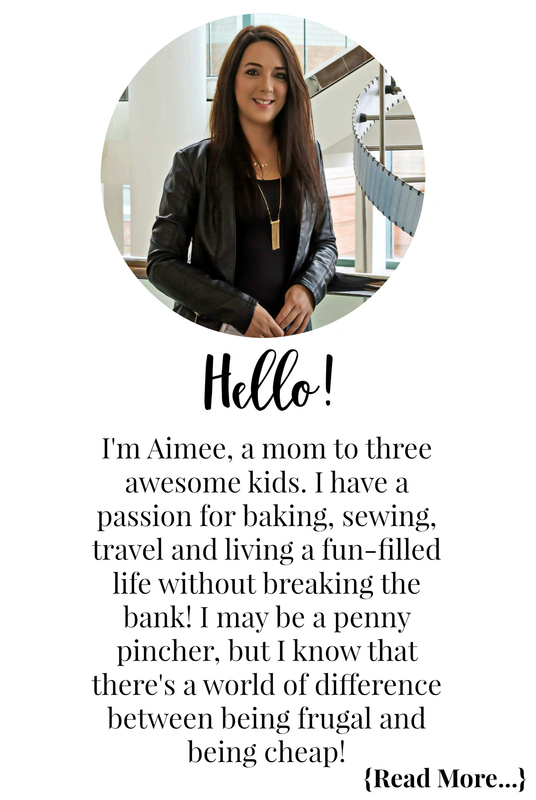 One thing all three of my daughters have always enjoyed is getting crafty. Bella is currently obsessed with drawing people, rocket ships, and signing all her artwork. While most of the time it is on paper, there have been a few moments where she has drawn on my tv stand, coffee table, and walls. She is also in love with unicorns right now, and the other day I found the perfect unicorn dress for $6 at H&M for her. After she was done freaking out about her new dress, she told me she needs a unicorn horn to match. Making her a unicorn headband was super easy, and she enjoyed helping along the way. 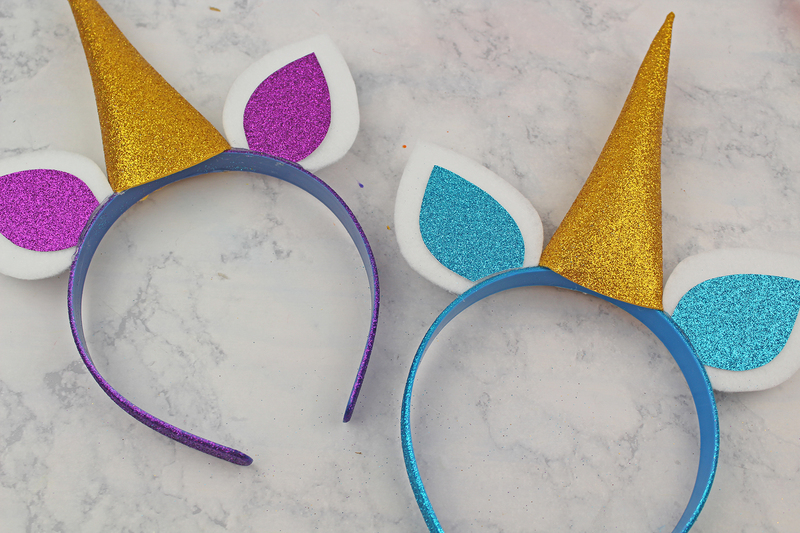 These DIY Unicorn Headbands are an easy craft to do with your little one, or maybe as the party hat for a unicorn themed birthday party! 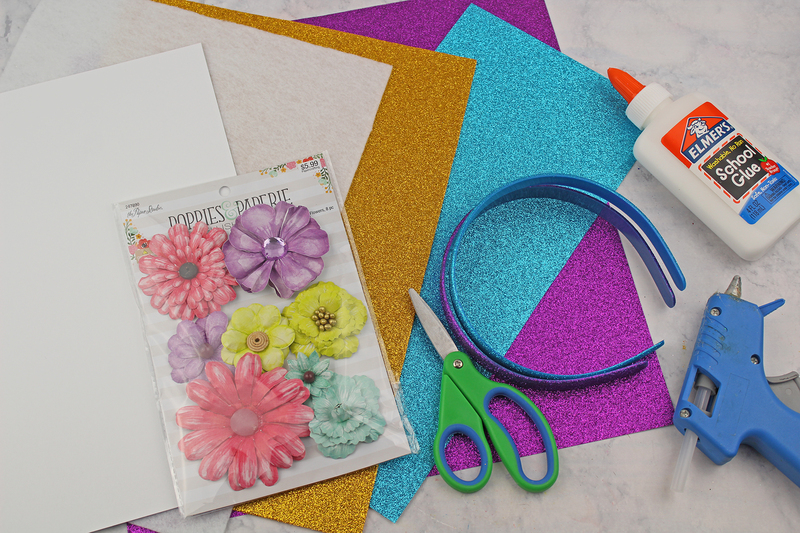 Follow along with the step-by-step instructions with photos below, and then you can print off the instructions and supply list below. 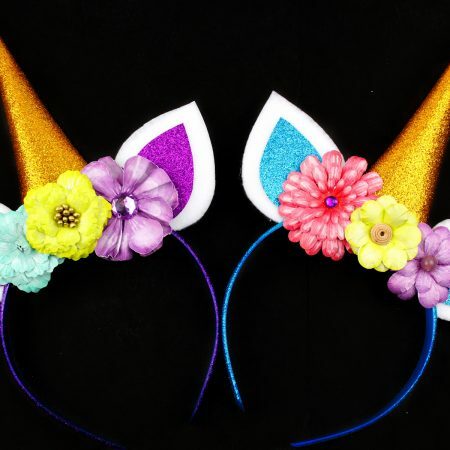 Print out the unicorn horn and ears template. 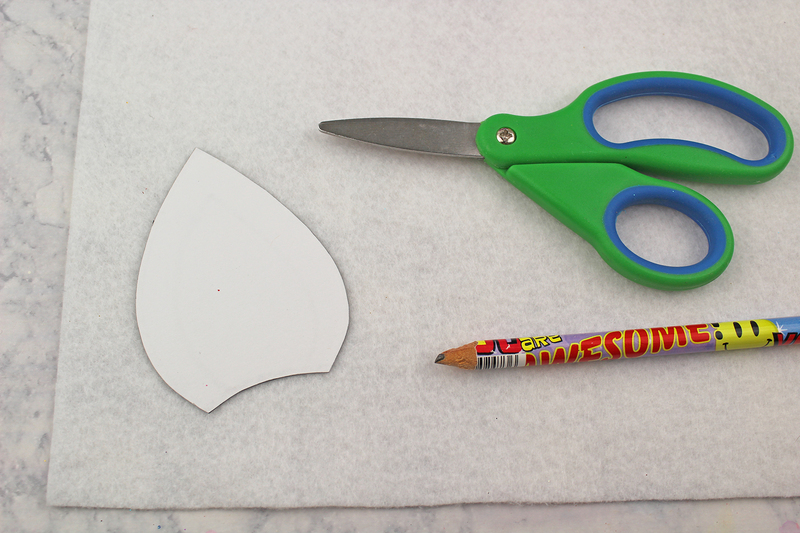 Trace the ear template onto white felt and cut out. Do this two times making sure to flip it over for the second ear. 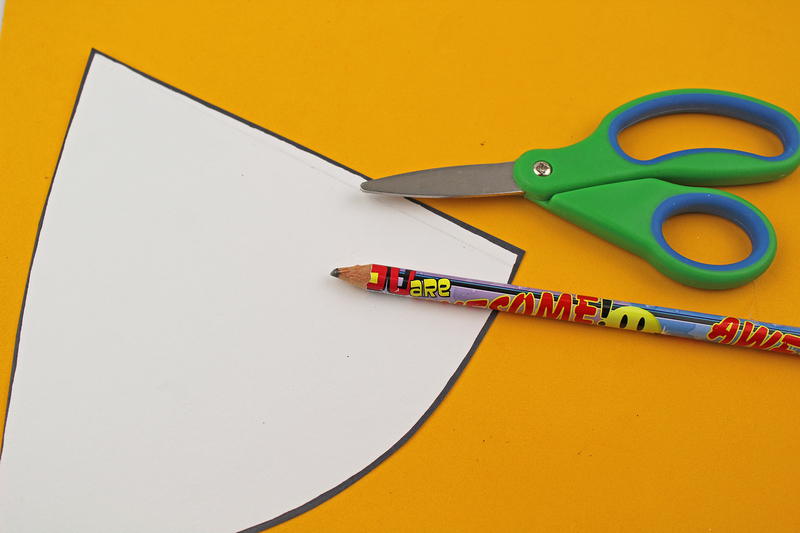 Trace the ear template onto white cardstock and cut out. Do this two times making sure to flip it over for the second ear. 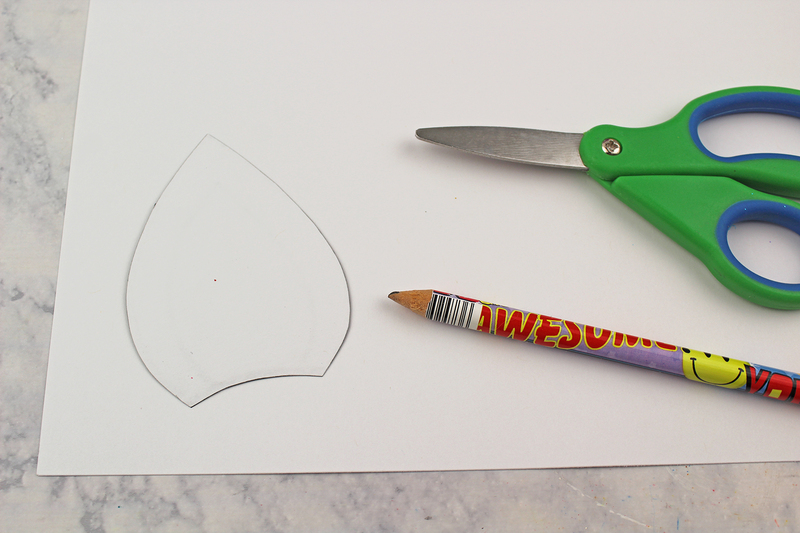 Cut out the inner piece of the ear template. 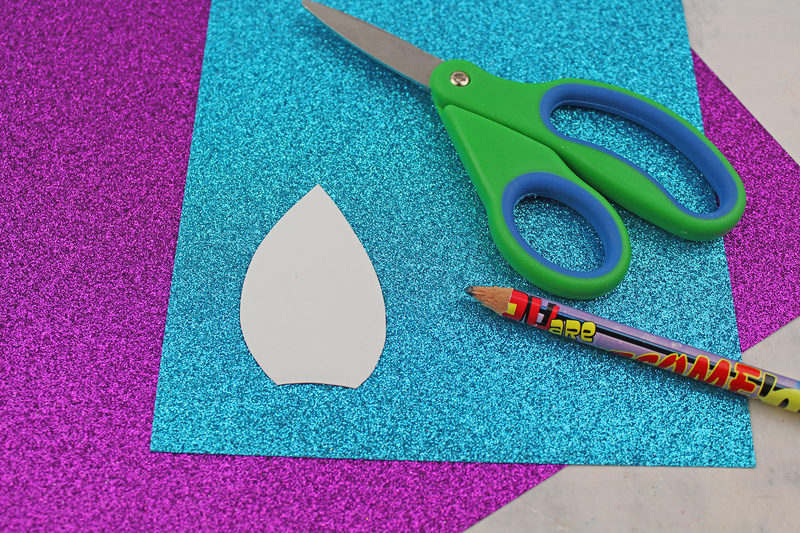 Trace onto the glitter cardstock and cut out. 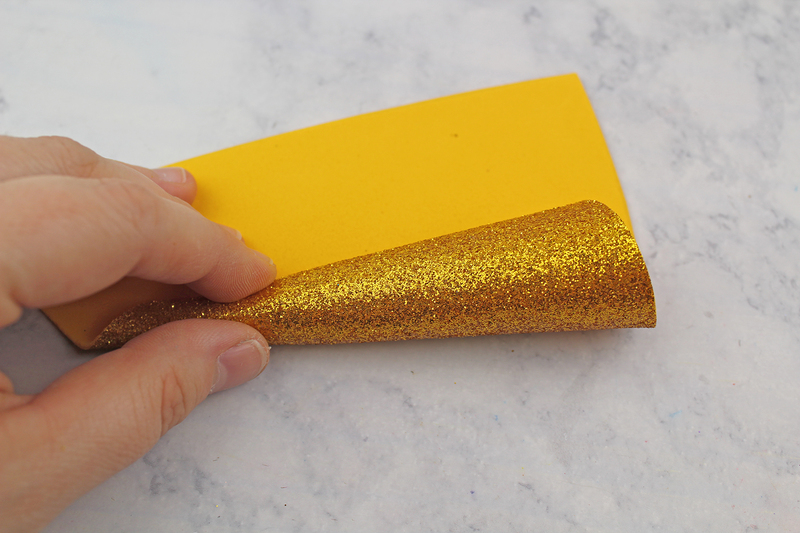 Do this two times making sure to flip it over for the second ear. 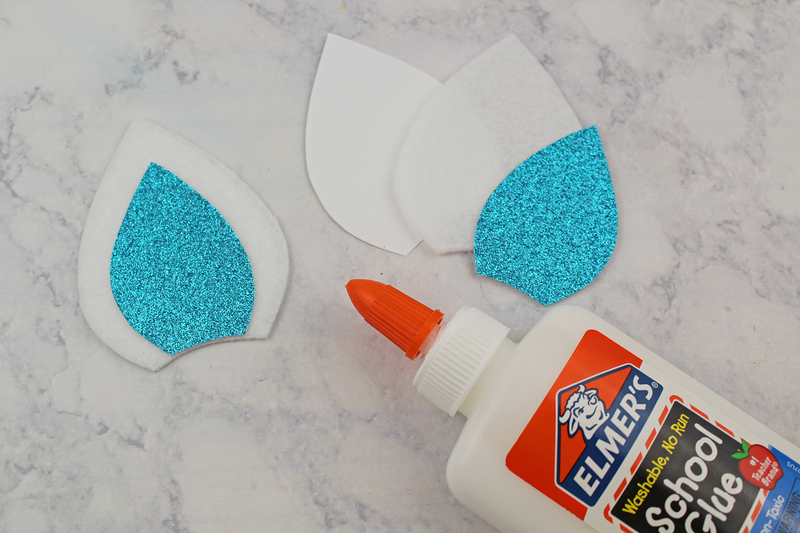 Glue the white felt onto the white cardstock and then glue the glitter cardstock on top of the white felt. 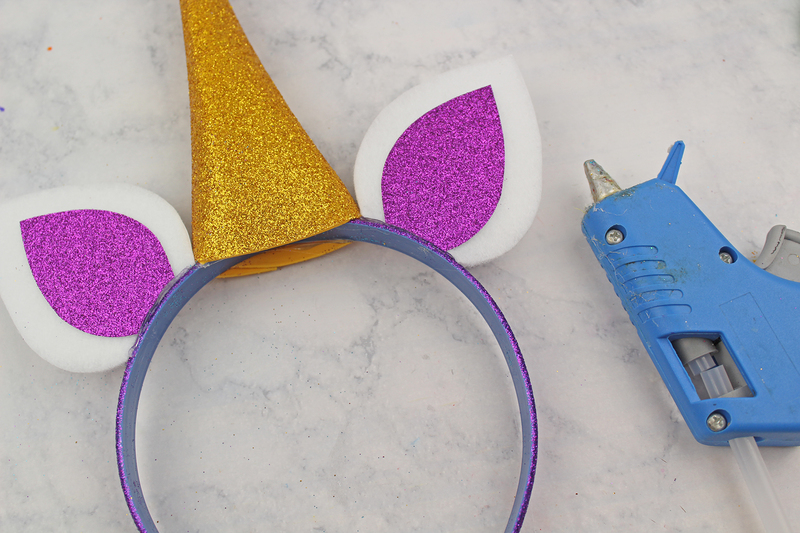 Repeat until you have assembled all of your unicorn ears. 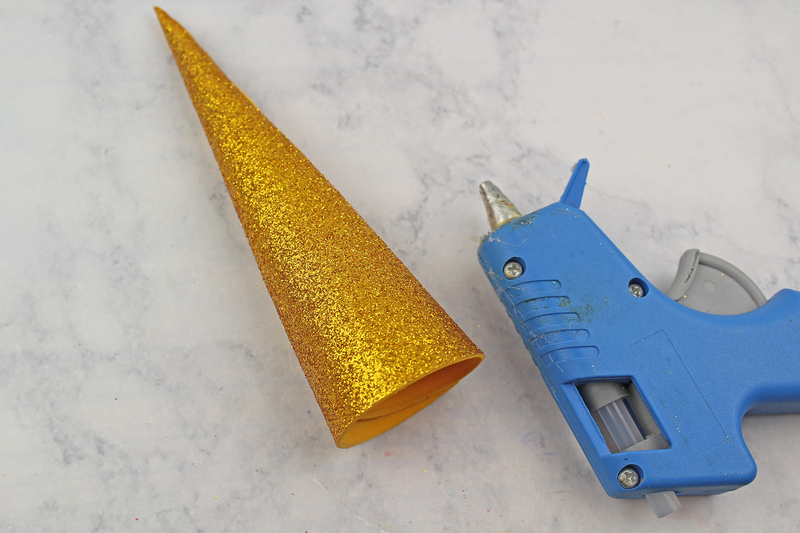 Turn the gold glitter foam over, trace the unicorn horn template onto it, and then cut the horn out. 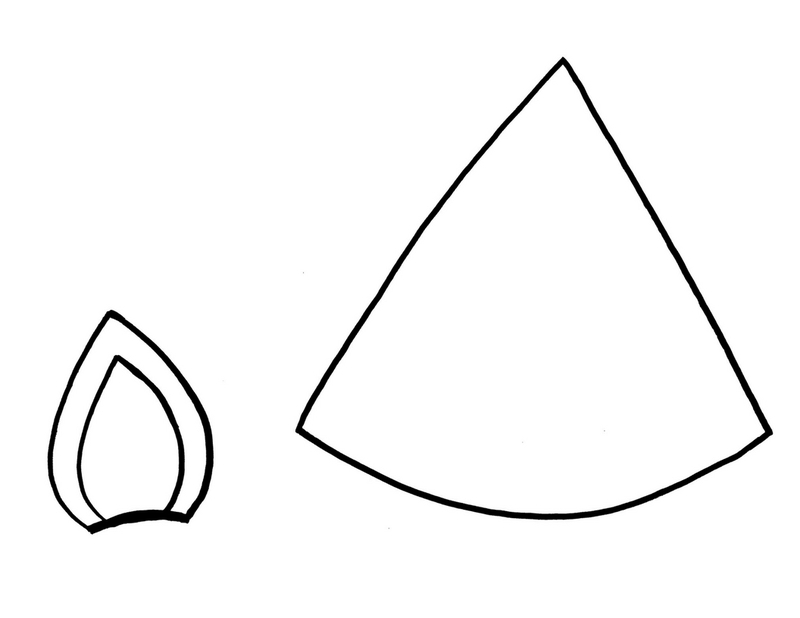 Starting from the straight end, start curling the horn in. 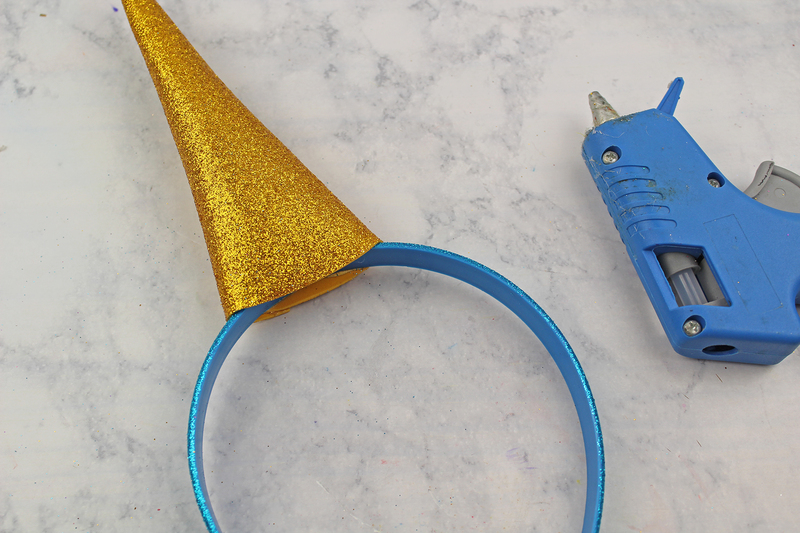 Repeat until you have finished making all of your unicorn horns. 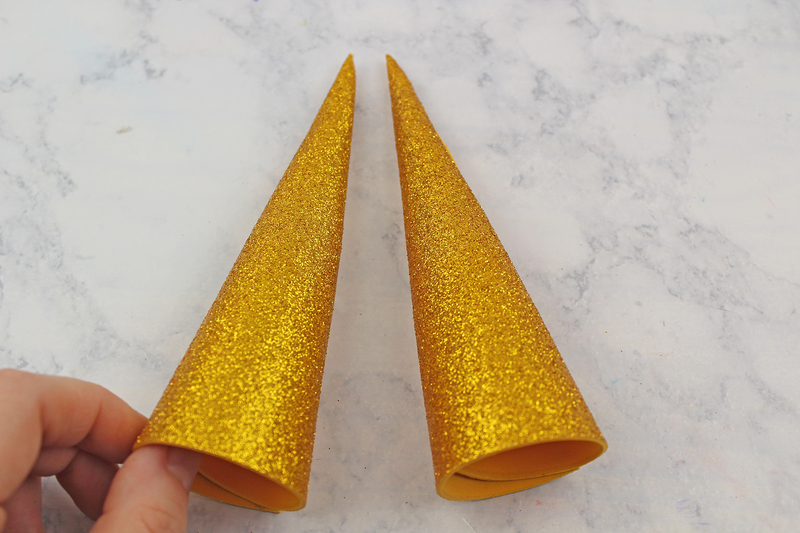 Glue the horns onto the headbands. 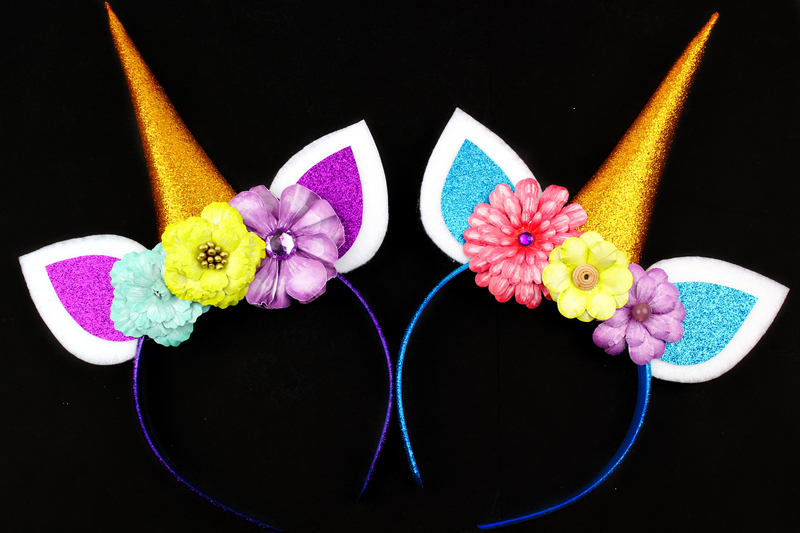 Next, glue the ears onto the headband on either side of the horn. Repeat until you have glued all your ears onto your headbands. 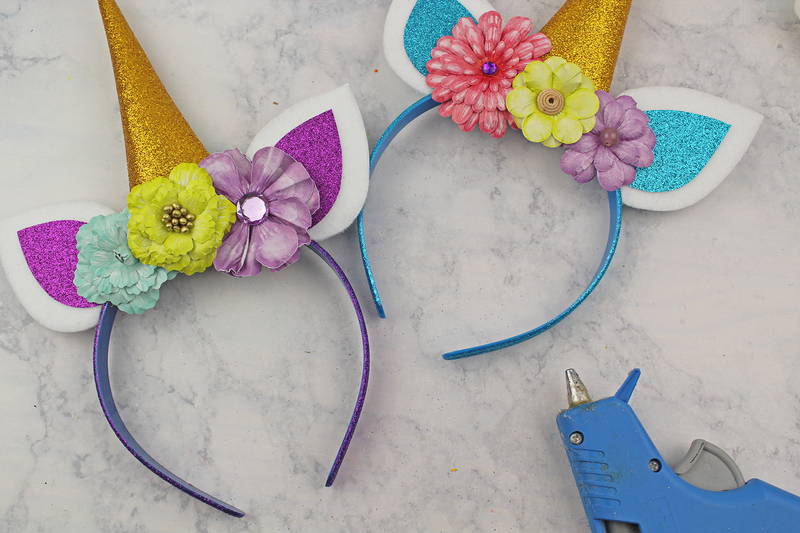 Let your unicorn headbands dry before wearing! Download, print, and cut out the unicorn template. 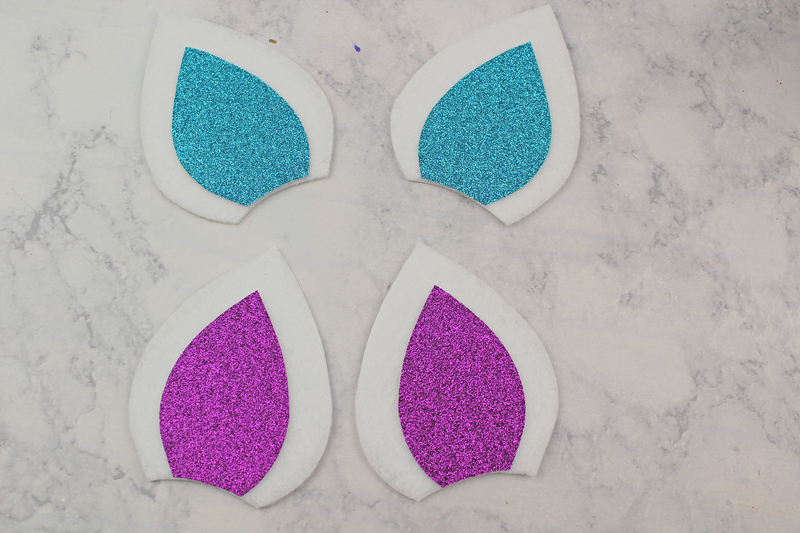 Let your unicorn headbands fully dry before wearing.